Well it has been a while since I have sat down to write a weekend update. Probably because while in Costa Rica all of the days kind of just melted into one day and by the time I realized I just had a weekend it was Thursday so a weekend round up really wouldn’t have made much sense. Anyways, here I am back in the land of the cold, it is so very very cold, and I am trying to get back into my routine of writing my regular posts. Something that has been proving to be much more difficult than I had actually thought it would have been. But yes adjusting to life back in Canada has been strange yet pleasant. This past weekend I celebrated a bit of Christmas over at my mom and step dad’s place. It was kind of wonderful, after having been Christmas deprived (Costa Rica doesn’t seem to decorate until December not like our November 1st style decorations here in North America) it was nice to be surrounded by Christmas for a couple of days. We enjoyed a nice meal filled with poultry, stuffing and mashed potatoes and several glasses of wine and just caught up. 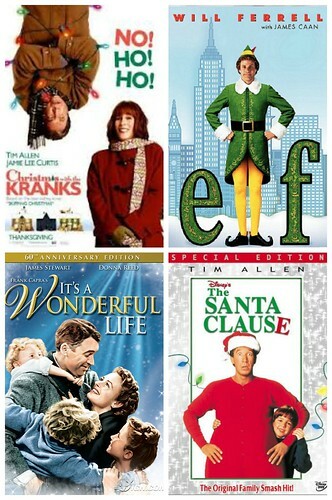 Saturday evening my husband and I celebrated in our own way by watching some Christmas classic movies, such as Elf, It’s a Wonderful Life, Santa Clause, Christmas with the Kranks, and well our list just keeps going on, we will be watching Christmas movies for days. The movie watching festivities are also generally filled with some tasty finger foods and other delicious foods we generally avoid in every day life (aka not the healthiest food out there). The weekend was then wrapped up with a little hot morning yoga (thank goodness for hot yoga! ), and then it was time to go to a birthday party for a wonderful little lady. A good friend of mine’s daughter turned 1 and she had a small party of family and friends to celebrate her entering the world. It was a great shindig and it was so fun to see just how big she has gotten and how mobile, oh goodness. It was great to get to see some friends and catch up and see all the little rugrats running around having a great time with all the toys and crafts that were left out for them. All in all I would have to say it was a pretty successful first weekend back home in Ottawa (minus the snow and the cold of course), I am happy to be back and will be working diligently at getting back into my regular routine of posting. Also I will have a couple more segments of Costa Rican recaps thrown in there for a little flare so keep your eyes open for them. Happy Monday everyone. Hope you are all staying warm. This entry was posted in General and tagged Christmas, elf, family, first birthday, friends, movies, round up, weekend by healingginger. Bookmark the permalink.